This award recognizes a staff member who has provided exceptional service to the University and has helped to advance its mission, goals and priorities. 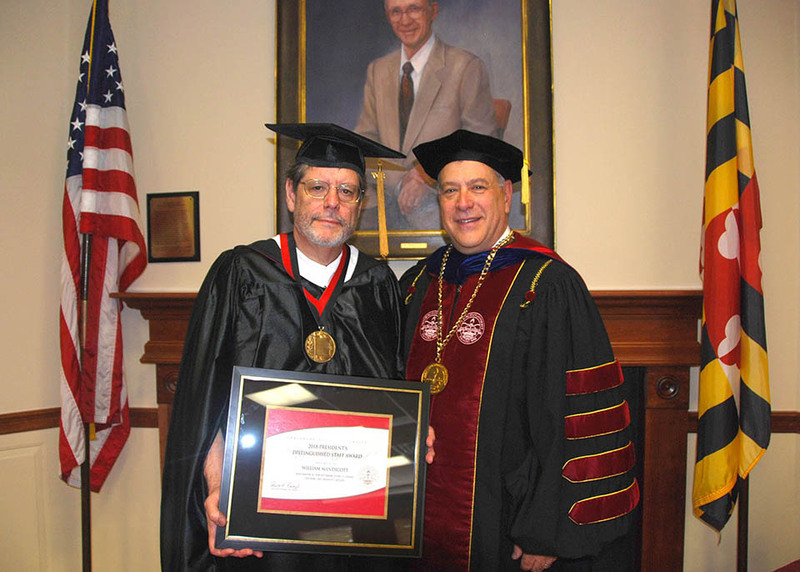 FSU has awarded a President’s Distinguished Faculty Award for six years, but this year a similar award was created for staff members in recognition of the countless ways that staff support Frostburg’s excellence. Mandicott has been a champion of service, social change and involvement for decades, dating back to when he first saw the potential in integrating AmeriCorps with higher education, starting the now 25-year history of A STAR! in Western Maryland. Its reach now stretches from Garrett County to Frederick County, addressing some of the region’s greatest needs. Programs like Turbo Vote, Town Hall meetings with the J. Glenn Beall Institute for Public Affairs and the NASPA – Student Affairs Professionals in Higher Education’s LEAD Initiative are just the most recent initiatives that connect the institution with the broader community. Mandicott is also a valued mentor to students, including many leaders in the Student Government Association. He has professionalized the employment experience of students who work for the Lane Center, including many who have gone on to work in the entertainment industry in major markets like New York and Washington. Bill Mandicott (left), inaugural recipient of the President’s Distinguished Staff Award, with FSU President Ronald Nowaczyk.